It’s so much fun to have a 1-year-old around at Christmas time. Even if they don’t quite understand Santa Claus yet and can’t yet sing a Christmas carol, it’s fun to see their eyes light up as they feel the excitement from their parents and siblings. Honestly, if you’re worried about what gifts to give your toddler, don’t be! 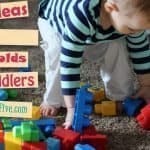 There are so many simple, fun, educational toys for your little one that I came up with an easy list of 30 great choices. My daughter already owns many of them and the rest are things I already have on her Christmas list for the coming year. Whether she’s your first child or your fourth, I hope you have fun being Santa Claus this year! Appeal to her senses. Giving a variety of small gifts that help use her senses (snacks, books, tactile toys, music, good smelling bubble bath). Challenge her physically. Your little one is still learning how her body works. 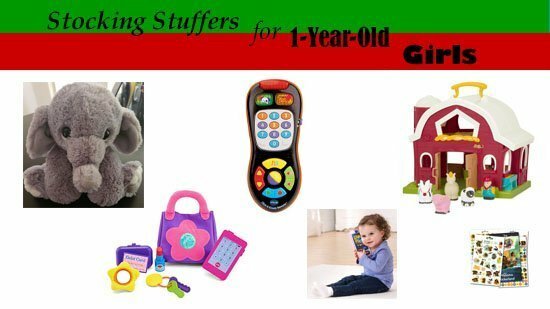 Choose a gift that will help improve her fine motor or gross motor skills. Expand her mind. Anyone who has spent time with a 1-year-old girl will tell you her mind is like a sponge. 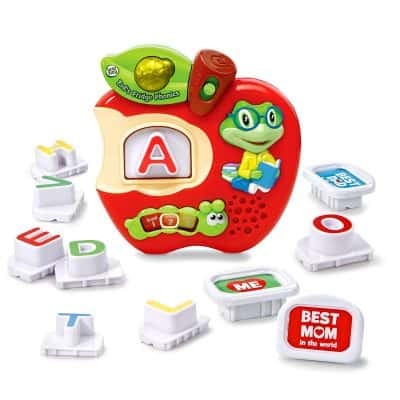 A gift that will help her learn shapes, colors, numbers, letters, animals, etc. is a good choice. Encourage her imagination. Even a 9-month-old can start developing an imagination. Many of the choices on this list are great for encouraging imaginative play. Can toddlers get enough board books? I vote that they cannot! Age one is when language explodes, and the more you read, the more they learn. 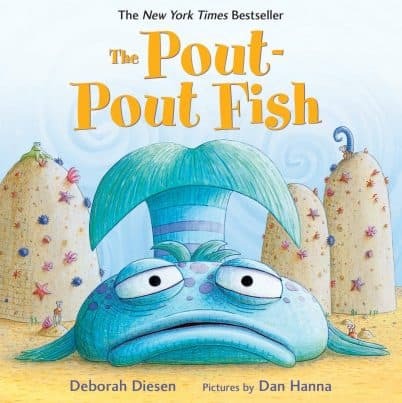 This book is called “The Pout -Pout Fish” and it has a surprise ending that makes it one of my favorite children’s books of all time. Speaking of language explosion, I highly recommend Baby Signing Time. Short, interactive episodes will teach your toddler how to communicate with you even if she can’t quite vocalize words yet. Signing is an enriching activity to do together. One-year-olds love to pretend to be adults, and that means carrying around a purse full of goodies. 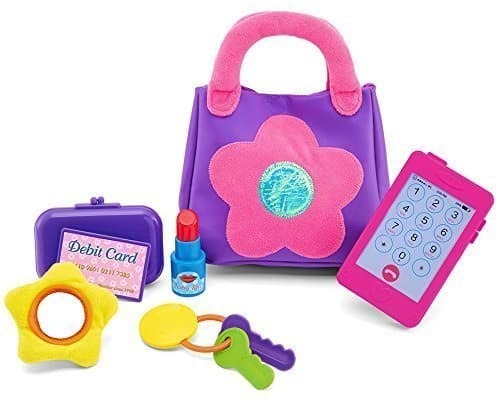 This purse comes with several accessories, including keys, lipstick, a wallet, and a phone. It would be fun to individually wrap each one and put them in a toddler’s stocking. Now that your girl is growing out of babyhood, she’ll need a good cup. 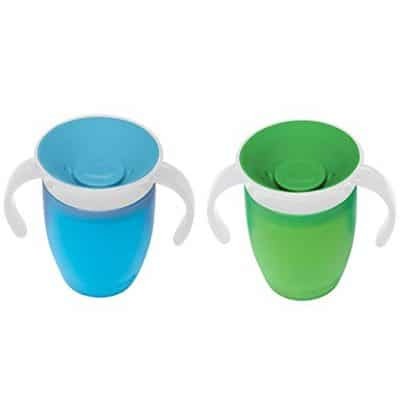 If you haven’t tried these Munchkin Miracle 360 sippy cups, you should. They are easy for a young child to use, and they teach drinking skills without leaving a mess. Washing them is simple–just throw them in the dishwasher. What kid doesn’t love stickers? 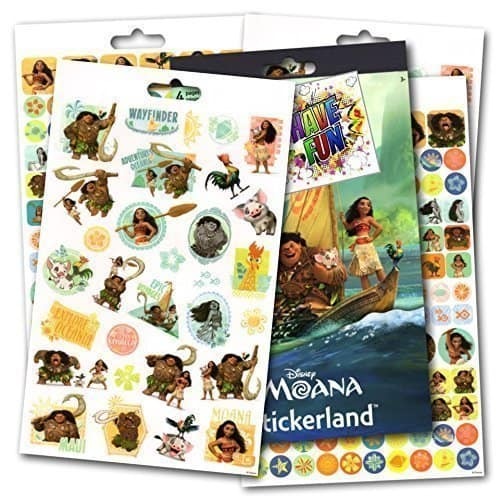 These Moana stickers are sure to excite your little one, especially if she’s seen the movie. Plus they come in such a large package that you can save some for later. Give your 15-month-old girl some stickers and a piece of paper, and she’ll be entertained. 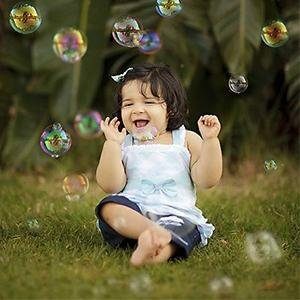 If you’ve never done bubbles with your one-year-old, you’re in for a treat. These little bubble bottles are the perfect stocking stuffer and they’re sure to leave your toddler enchanted. Again, you can buy this multi-pack and save some for Easter and birthdays! Most little girls tend to gravitate toward dolls. Imagine the excitement on your toddler’s face when she sees this little doll poking her sweet face out of her stocking on Christmas Day… it makes my heart melt just thinking about it! This doll has a soft body with plastic arms, legs, and head. A plush animal is a great stocking stuffer for any child. It can provide comfort and fun. 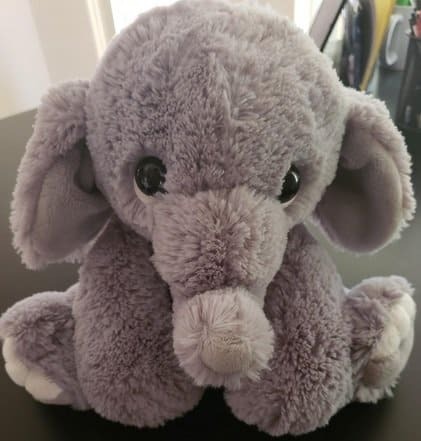 This super soft elephant is particularly snuggly and adorable. Your toddler may cuddle it all day long. This plush toy comes in grey or pink. There’s no better way to a toddler’s heart than through a treat. 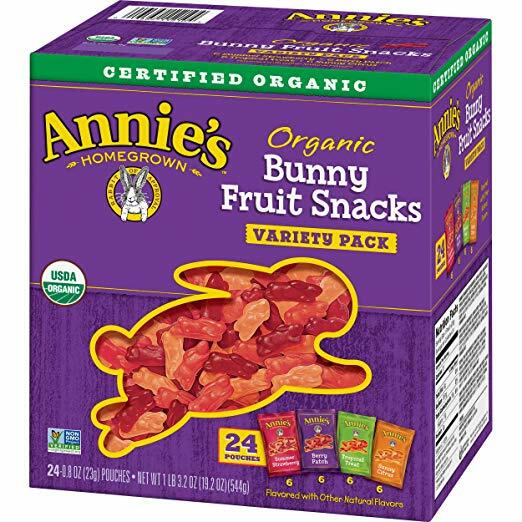 Not only are these fruit snacks adorable (bunny shaped!) and tasty, they’re also organic. There’s enough in this box to put some in all of your kids’ stockings, and even your own… because Santa needs a treat, too! One-year-olds love play food. 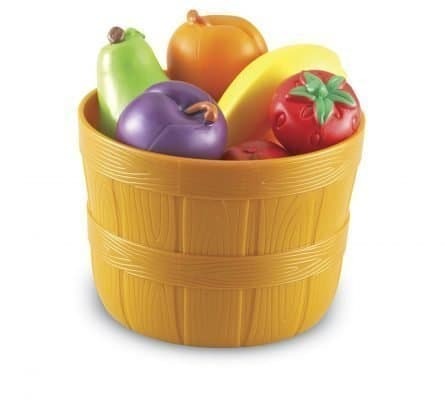 Help your little one learn the names of foods by getting her these colorful, cute little baskets of fruits and vegetables. Learning about healthy foods can also help your toddler make positive associations with food, so it’s a win for mom and dad, too. Santa Claus always put a toothbrush in my stocking on Christmas Eve, and I hear I’m not alone. It’s fun to have one extra thing to open, even if it’s just an everyday item. 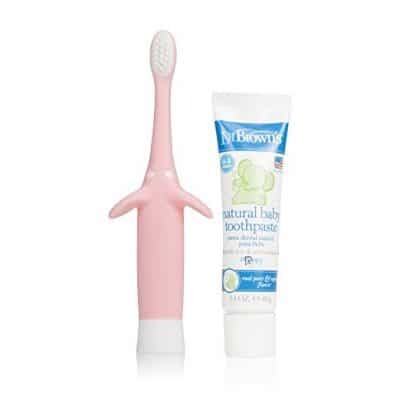 This pink infant-to-toddler toothbrush and paste is a perfect stocking stuffer because, not only is it cute, but it’s something your toddler needs. The American Dental Association recommends you start brushing your baby’s teeth with a toothbrush as soon as the teeth emerge. 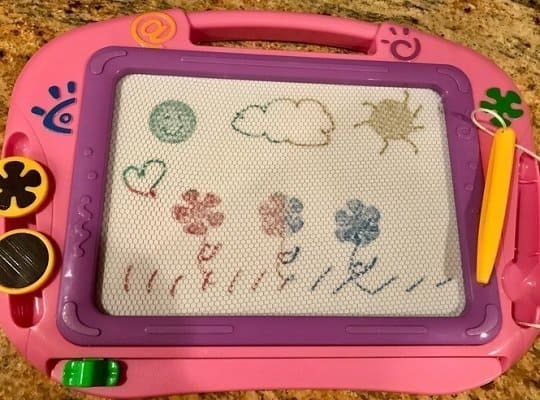 I love this adorable drawing board because it’s a mess-free way for your toddler to do art. I’m absolutely putting this one in my one-year-old’s stocking because we’re traveling on Christmas Day, and this is a perfect on-the-go toy. If they haven’t already, those little hands will soon be learning how to scribble with crayons. These thick crayons are the perfect size for toddler use (they’re less likely to break or snap!) and they’re the perfect size to fit in a stocking. Using crayons will help to build your child’s fine motor skills. By 18-months-old, she should be scribbling pretty well! 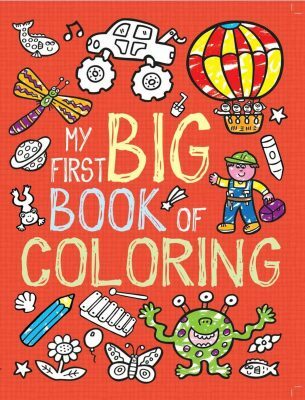 Let’s be honest, one-year-olds can’t color inside the lines, but that doesn’t mean they wouldn’t enjoy a coloring book. This one is full of fun pictures that your child can point at and name as they scribble. 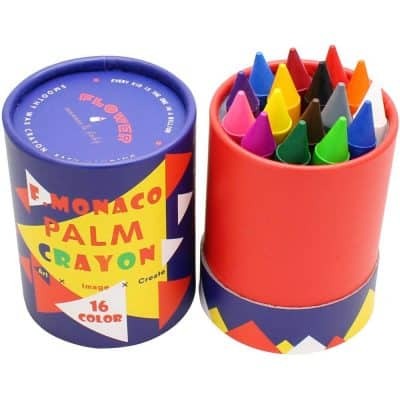 It would pair perfectly with those chunky crayons we just mentioned. 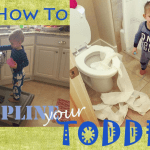 Some toddlers start to express an interest in potty training between 18-24 months, and girls tend to potty train earlier than boys. 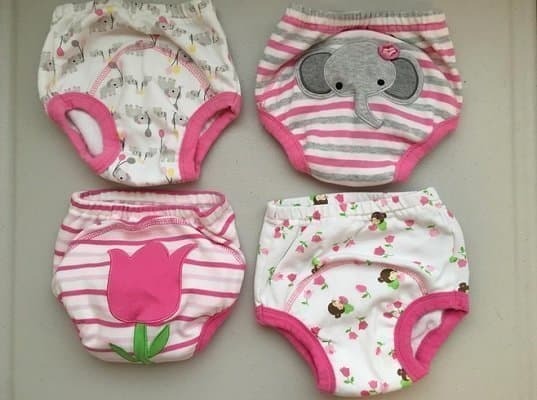 If your toddler is within that age rage or has expressed an interest in potty training, think of how motivating it would be for her to open a package of her very own big girl underwear on Christmas morning! The underwear linked above are absolutely adorable and have no-pinch elastics. Bath time is a little more magical and fun with bubbles! For another simple and fun stocking stuffer, wrap up some bubble bath. 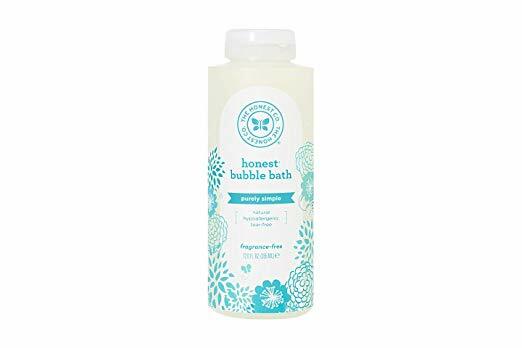 This Honest Company bubble bath is tear-free for little ones, plant-based, and designed without fragrances, sulfates, or dyes. I absolutely love it when smaller gifts that are wrapped in a stocking are part of a larger gift under the tree! 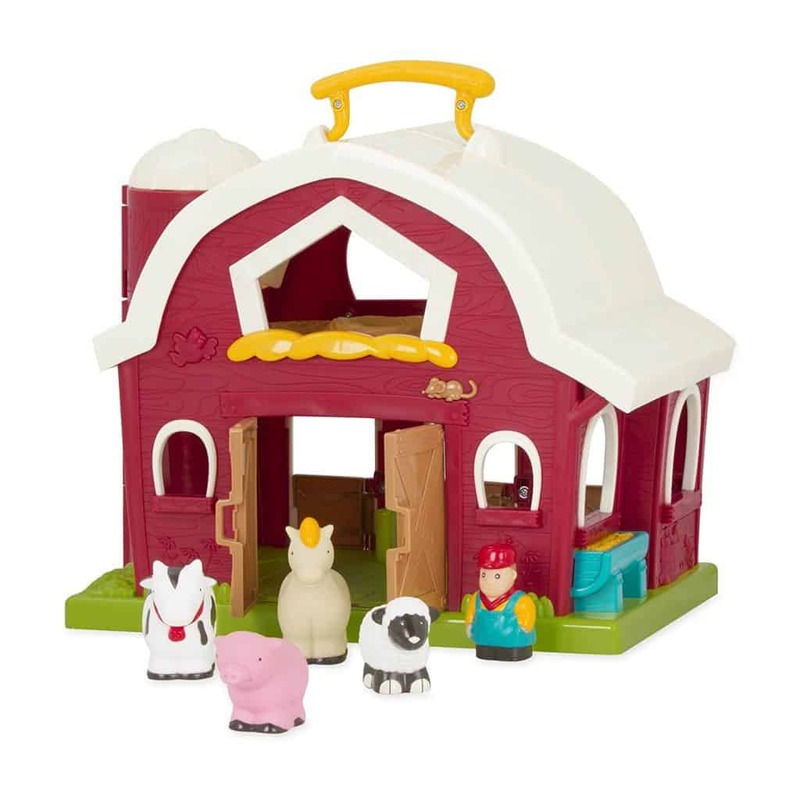 These little farm animals are perfect to wrap as stocking stuffers, and then you can wrap the barn and put it under the tree. 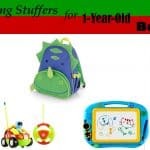 It’s an inexpensive and adorable gift that your toddler will love for years. 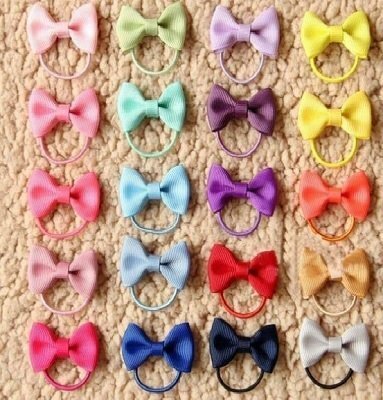 If your little girl loves bows (or is just starting to get hair…), take a look at these adorable rainbow bows! They’re attached to a ponytail, so they’ll stay on much better than those baby headband bows that your toddler is likely outgrowing. What a fun and adorable stocking stuffer. 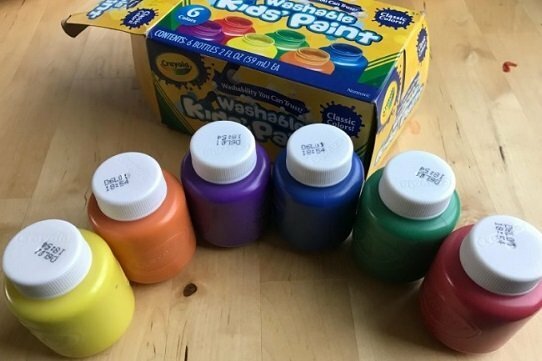 At less than $5, this set of finger paints is a fun and affordable gift for a one-year-old girl. They’ll make for a perfect sensory activity this year and maybe some extra-special time (and cute pictures!) with mom and dad on Christmas Day. If you’re getting your toddler lots of art supplies for Christmas, this art apron will save your sanity as a parent. 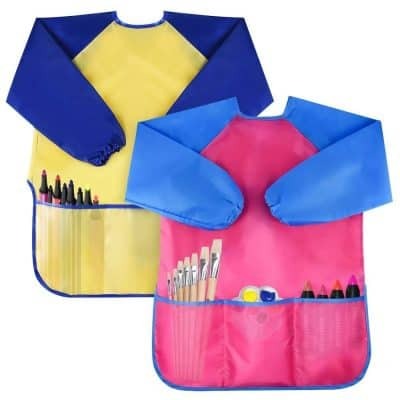 Not only do they come in cute, bright colors, but they also have long sleeves to protect from paint spills and pockets to store supplies. They may not fit in a stocking, but they’re perfect to pair with stocking gifts. During your toddler’s second year of life, she’ll learn to feed herself. These little forks and spoons are the perfect size for her tiny hands and she’ll be excited to open them Christmas morning. Why is it that one-year-olds love balls so much? Is it because the word is easy to say, or because they’re fun to throw? Whatever the reason, a little girl would love to get a ball as a present. 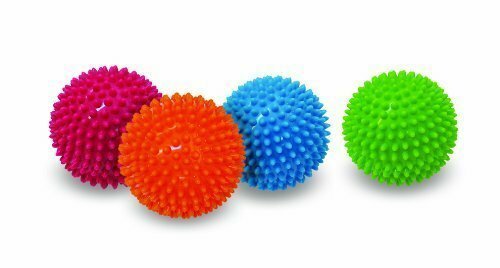 These sensory balls are colorful, easy to grab, and will fit perfectly in her stocking. Age one is when you worry less about whether your baby can keep her head out of the bath and worry more that she’ll sit down in the bath. 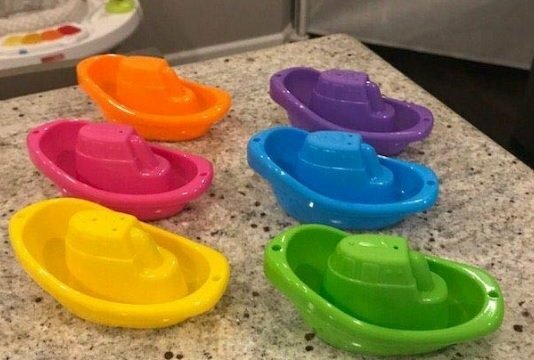 These cute little boats will keep her entertained while you wash her hair, and she’ll use them for years beyond her first year. These silicone bibs are a lifesaver for messy toddlers. 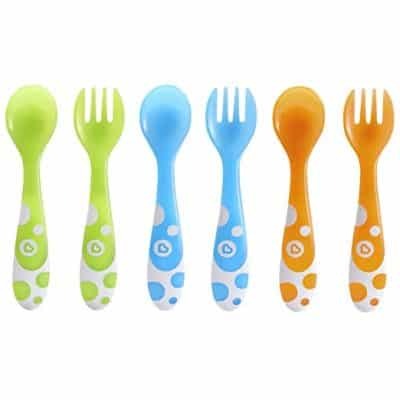 They have a large, gaping pocket to catch dropped food, and they wash off easily in the dishwasher. You may be more excited for her to open these than she is (I know I was! ), but she’ll still be excited to rip open the paper. Tiny cars are another toddler fascination. 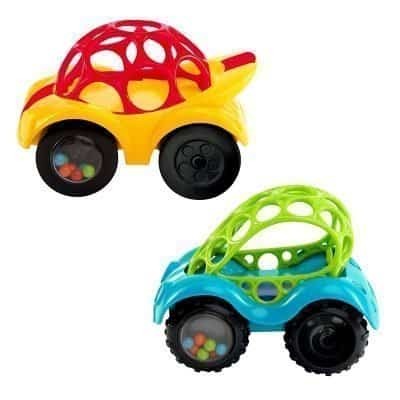 Not only are these cars inexpensive, but they’re super easy to grab, come in cute colors, and rattle as they drive. They’re perfect, especially for a child who’s newly turned one. Toddlers love to mimic mom and dad. 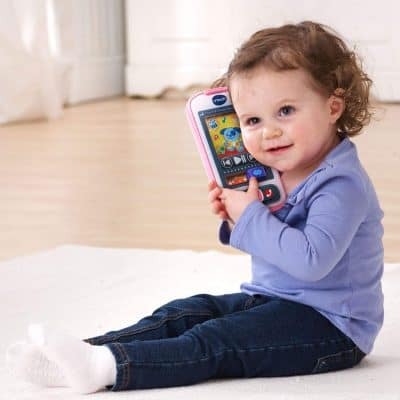 This cute toy looks just like a smartphone, so your child can answer the phone and talk to “daddy” too. The light-up touch screen and pretend apps will leave your child excited and mesmerized on Christmas Day. This little toy is perfect for keeping your toddler busy while you’re in the kitchen cooking dinner. As a bonus, it’ll help her learn her ABC’s! My 18-month-old girl has had hers for six months and can already say several letters of the alphabet. It’s a fun and educational gift. Music is another great way to stimulate your toddler’s senses, but buying just any kids’ CD could backfire. (Read: Wheels on the Bus can get annoying when your child wants it played over and over again!) 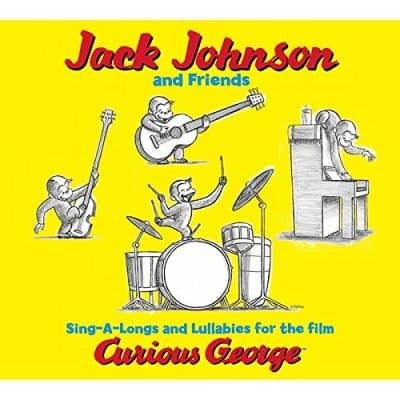 The Curious George soundtrack is sung by Jack Johnson, whose soothing voice will keep your house calm even if it’s played on loop, and your one-year-old is sure to love it. When we used to lose the remote, my husband would blame me. Now, we both know if the remote is missing the likely culprit is our one-year-old daughter. She LOVES pressing the buttons on the remote. 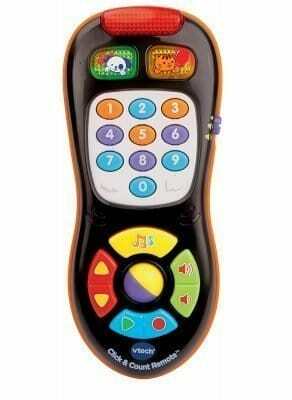 We got her this cute “Click & Count” remote, and she plays with it and presses the buttons all day long and (usually!) leaves our remote alone. Although these may just appear to be boring, stackable cups, what they really are is an open-ended toy with endless imaginative and educational opportunities. 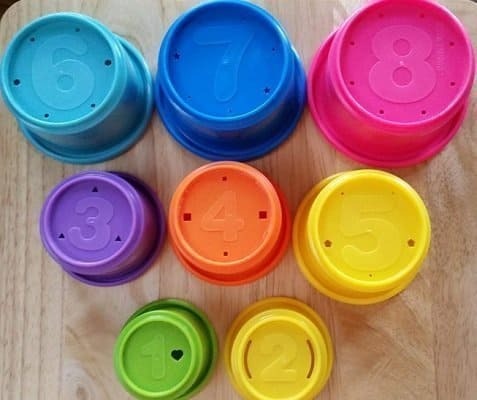 Your one-year-old can learn how to stack cups, learn which cups fit inside the others, and see what else fits inside them. They are a perfect stocking stuffer at such a low price. With so many fun options for stocking stuffers and small gifts, it’s hard to pick just a few. Whether you decide to go with a theme or include lots of different options, your toddler will no doubt be excited to open any of these toys. Merry Christmas from Mommy High Five! We hope your holidays are stress-free and memorable.